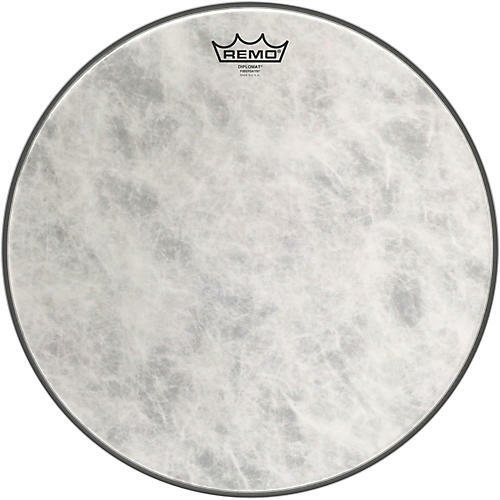 Remo Fiberskyn 3 Batter Thin 16 in. FiberSkyn 3 drumheads feature an exclusive lamination process that combines Remo films and synthetic fibers to re-create the vintage sound, look, and feel of calfskin. The dark, warm, round tone of FiberSkyn 3 heads is highly recommended for traditional jazz, R&B, and classic rock drum set applications, as well as for concert snare drums, bass drums, and toms. In addition, FiberSkyn 3 provides an excellent, authentic ethnic drum sound when used on world percussion instruments.